Capt. Hugh - Born in England, now permanent US Resident with a family home in St Augustine, Florida. Hugh started competitive sailing and ocean racing in the UK & France in 1987 (30 years experience). He completed the intensive Royal Yachting Association (RYA) Yachtmaster 300 Ton Sail & Power Commercial License in 2002, and worked as a Captain & Chef in commercial yachting in the Cayman Islands, Virgin Islands, USA & Asia. Hugh ran a 50 ft Crewed sloop as a Captain/Chef in the Virgin Islands from 2007-2011. A 20 year career in Marketing & Sales for IT & Database companies saw Hugh working in some 20 countries and heading up operations in Europe, US, Asia & Latin America. 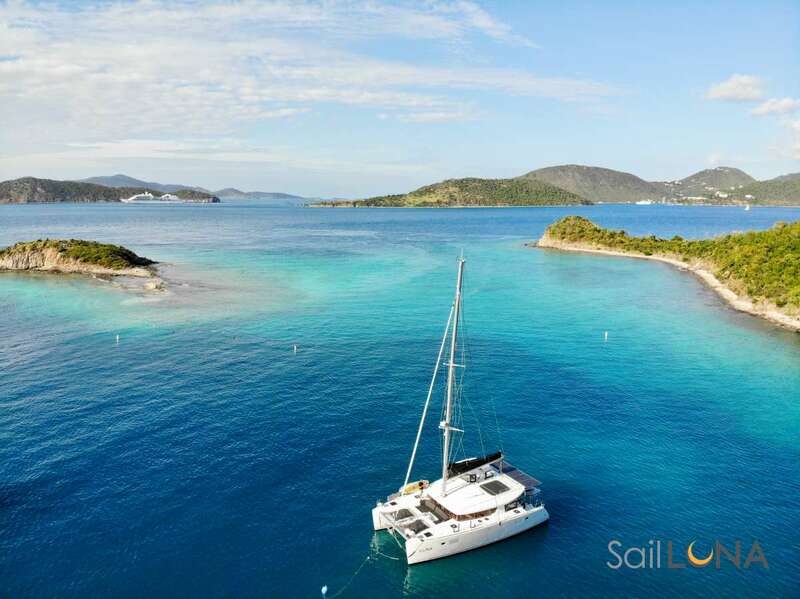 In 2017, Hugh purchased a new 60 ft Beneteau sloop (Ocean Star) with his partner Ellen in Charleston, leading to a maiden season for the yacht and crew in the Virgin Islands for 2018. Hugh attended culinary classes in Europe, Japan and France, and specialises in Mediterranean and Asian fresh food dishes with premium ingredients. Hugh is a social drinker but non smoker, no drugs, no criminal record, clean licenses and a broad sense of humour when trying to catch fish! Chef/Mate: Ellen - Born in England , Ellen beacame a US citizen in 2017 after living in Florida for 27 years. Originally she arrived in the US working on board Princess Cruise Lines as a cocktail waitress and entertainment officer, and eventually moved ashore in Fort Lauderdale to run a successful yacht maintenance business (Lady Ellen Yacht Services). Ellen continued to work on yachts and support maintenance and yacht deliveries around the Bahamas, and later moved to St Augustine Beach in 1996 and worked in the hospitality & restaurant industry alongside the yacht business. Ellen is an avid Wellness & Yoga enthusuiast and licensed Cosmetologist plus current Safety Training Certificate of Watchkeeping (STCW) holder for yachts. She is responsible for hosting guests on Ocean Star and ensuring they have both a fun and a relaxed charter including leading snorkel trips, yoga sessions, brewing up ´wellness smoothies´ and various incremental services such as facials, pedicures, head and shoulder massages. Ellen is a social drinker, non smoker, no drugs, no criminal record, clean licenses and a sense of humour keen enough to support dancing on deck! Send us an inquiry to get specific pricing for Ocean Star. Hugh was amazing. He made everything fun and easy. He even let me son sail in 30 knot winds! It was a great experience and his cooking skills are top notch as well! We are so grateful for this wonderful family experience! A trip of a lifetime! Ellen was sweet, funny, happy and always willing to help or get us something. She took us on some great walks and made sure we were comfortable and having fun! She is a real gem. Hugh and Ellen made my boys feel right at home on the boat. They were up for anything. We set the itinerary together and I was so grateful for their input and willingness to go to places others usually don´t!!! Snorkeling was great and Hugh and Ellen knew all of the great spots! Also they took us at our request to all fun bars and restaurants! It was great. Everything was perfect. Hugh was a great chef and Ellen makes a delicious pain killer! We currently don't have a sample menu for Ocean Star. Please inquire for more information.